Normally for a lease renewal Council would not be dealing with either the categorisation of the land to community land or creating a Plan of Management for the site. However, these two stages in dealing with public land had been overlooked in the past. A public hearing regarding the categorisation of the currently leased land as community land (part Sportsground and part Natural Area-Bushland was undertaken by an Council-independent chairperson (Sandy Hoy) was carried out on the 16th of October 2013. Local resident Ian Tanner and Councillor Lynne Saville attended the hearing. Ms Hoy is recommending to Council that the land be categorised as proposed. That is part ‘Sportsground’ and part ‘Natural Area-Bushland’. The ‘Sportsground’ categorisation allows for the land to be used for a wide range of sporting activities (subject to assessment of impact) as well for the playing of golf. View a copy of the public hearing report. NOTE: Under the terms of the categorisation of the land as ‘sportsground’ a wide variety of sports are allowable on the leased land. Council as Trust Manager regarding uses of Crown land under the Crown Lands Act 1989. Lease regarding the use of the community land according to lease provisions of the Local Government Act 1933. There may also be a need to Council to enter a cross lease with the Club to allow public access to Golf Club (private) land to connect the two parts of the Rail to River walk. NOTE: At this point there are no copies available of the proposed leases. RMS will approach the Centre for Road Safety to request installation of a fixed speed camera. 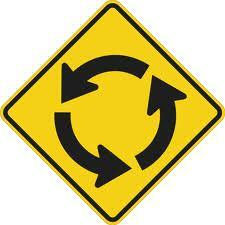 We seem to be going round in circles again (strange there is no suggestion of a roundabout). Fullers Rd – letter from Gladys Berejiklian dates 10 October advising that she has asked the Regional Manager of RMS to consider a speed camera as the best option to improve safety. Proposed motion – ‘that the Association write to the Local Member advising her that in relation to Fullers Rd, the preference is for a speed camera supported by other appropriate traffic calming measures in both directions’. Year on year Council’s operating income has increased whilst operating expenses have decreased resulting in a positive net operating result of over $8M. More importantly, Council’s result before Capital Grants and Contributions has improved by almost $3.4M. Council’s Balance Sheet also shows improved outcomes. The various comparative ratio information are all within industry norms. Any person may make a written submission to the Council about the Draft Voluntary Planning Agreement Policy 2013 during the exhibition period. The Draft Policy is on exhibition until Wednesday 30 October 2013. It was also the meetings view that the concept of VPAs should be reconsidered in the context of any new Planning Legislation. On the 16th October Councillor Saville and Ian Tanner addressed the public hearing on proposed categorisation of WCC community land in relation to part of Chatswood Golf course. Chair of the hearing, Ms.Sandy Hoy and Council’s Open Spaces Manager Julie Whitfield explained the narrow focus of the hearing. The green area of the draft Plan of Management [POM] is designated as Sports Ground and as such embraces Golf and other sports. In Ian Tanner’s view, the green area seems sufficient to provide room for three playing fields for school children to play competitive games. Submissions on this matter can be received until 4 November 2013. After discussion of this matter at the October meeting of the Progress Association, including with two representative from the Golf Club, the meeting voted in favour of the motion below (3 against). The President of Chatswood Gold Club advised that they are currently in negotiation with Council regarding providing public access over part of their privates lands to complete the missing link of the Rail to River walk.